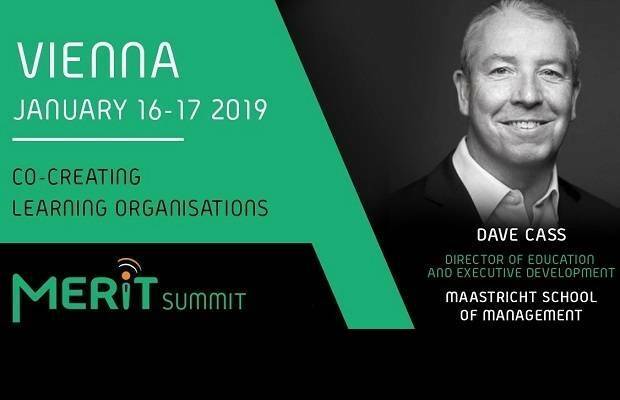 Mr. Dave Cass, Director of Education and Executive Development delivered an inspirational MERITalk on Service Design Thinking during the MERITSummit in Vienna on 16 January 2019. During his MERITalk Mr. Cass emphasized the fact that business schools and companies face similar challenges. HR and higher education both have to work cross-departmentally and they both work more and more in a globalized competitive marketplace. They are both required to produce the person best capable of meeting the requirements of the job or market as a whole. Service Design Thinking can be applied in improving higher education management and Executive Education delivery to bring better value to the market. This to bridge the potential skills gap between higher education output and future business needs. MSM recognizes the fact that higher education needs to take into consideration the fact that we need to tailor our educational programs to the needs of industries and companies. This to provide greater value and better customer focus. That is why MSM is organizing a Symposium “Bridging the Growing Skills Gap” on 24 January 2019. During the day the results of the Employability Survey will be shared with the participants and several breakout sessions will take place to discuss the skills and competencies for the future. MSM offers several educational programs to enhance organizational learning. 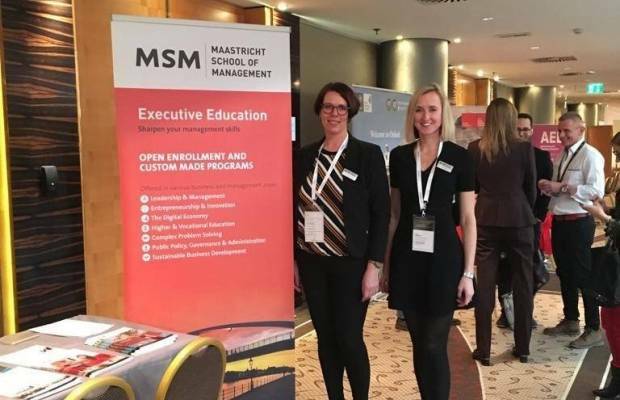 Ms. Inka Diddens, Recruitment Officer, and Ms. Manon Souren, Executive Education Officer, were present to showcase MSM’s Executive Education portfolio. MSM offers a wide portfolio of short open enrollment programs. Our skills-oriented programs help you to enhance your management and professional knowledge and skills. Our policy-oriented programs provide you with the tools and instruments to help you in developing effective policies for your organization. Beside our portfolio of short open enrollment executive programs, we have put together a portfolio of executive courses as bespoke programs. MSM can offer a wide range of subjects taught by specialist lecturers, where necessary tailored specifically to suit your needs. For more information you can always contact us at ep@msm.nl. MERIT is a one-of-a-kind forum in which corporate and higher education leaders from all over the world meet to build tomorrow’s workforce. The summit gathers representatives of the most prominent Business Schools to present innovative learning methods and research, and Human Resources Directors of companies from different industries to share insight from their challenges and victories. Attendees of this exclusive network event become part of creating a culture of learning, innovation, and growth.